This is a double bill that happened by accident. I was keen to watch Alex Garland’s Annihilation purely because it was new: I don’t get to the cinema much lately, so I tend to catch up with films only when they reach Netflix, or Prime Video. Being produced by Netflix, Annihilation was available to me on all my local devices less than a month after its US theatrical release. I’d heard good things about it, too, but the main reason I chose to use a rare command over the living room TV to watch it (my wife having started a new novel in earnest), is because I was a bit sick of missing out on the latest movies. The following evening, my wife not having finished her novel (despite her prodigious reading speed) afforded me a second shot at the main TV, and giddy with the power, I considered many of the films I’d been meaning to catch up with for years. The Martian, The Intern, Arrival, The Founder, Manchester by the Sea, Moonlight. Of these Arrival was the one I most wanted to see, but I had to overcome my suspicion that it was very similar to Annihilation in tone and subject matter. I didn’t know the half of it. They both start with (apparently) recently-bereaved women giving lectures to university students, before being picked up by the military because of alien lifeforms arriving on earth. They both have a solemn tone, that The Economist’s review of Annihilation describes as, “tightrope-walking the fine line between open-ended, mind-expanding mystery and lethargic, pretentious twaddle.” They are both adapted from recent, award-laden science fiction literature: Annihilation from Jeff VanderMeer’s novel; Arrival from Story of Your Life, a novella by Ted Chiang. Their similarities are so many that it only accentuates their differences. In fact, they are in entirely different leagues. Annihilation is full of wonderful things. The peerless cast, the gorgeous, refracted visuals (justified and necessitated by the plot) and a heap of terrific ideas all lead me to believe, at the halfway point, that it was either going to be incredibly scary or incredibly mind-blowing. Alas, ultimately, it was neither. 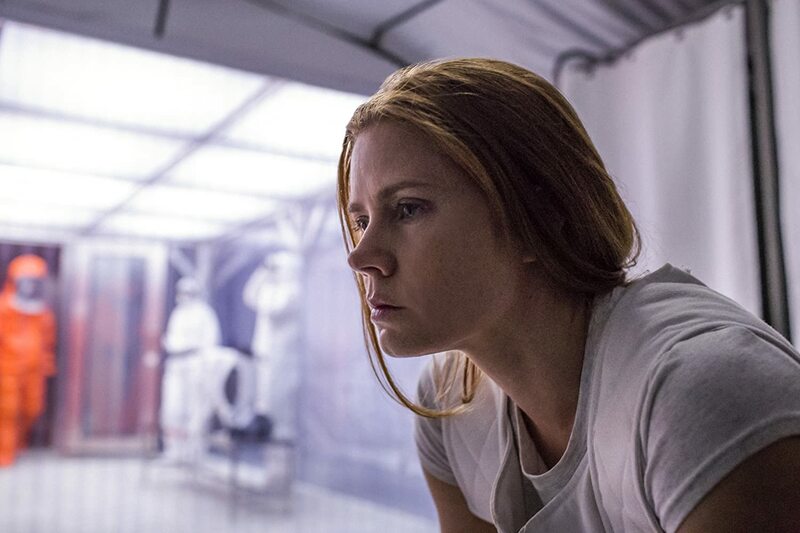 Arrival, on the other hand, while classy, initially seemed to be slightly less spectacular, both in its visual palette and its ideas. As it progressed, though, the simpler ideas only got more delicious as they were explored and developed, like the themes of a sonata, whereas Annihilation had simply tossed in more exposition and ideas, many half-baked. Crucially, the personal loss element of the back story, common to both, unfurled in a way that was far more intrinsic to both the plot and premise than Annihilation’s. On finishing Annihilation, I considered reading the source novel as an intellectual exercise, see if it produced the same mild disappointment, or whether it had depths the film had failed to translate. The following evening, while the credits still rolled on Arrival, I had already bought the Kindle version of Ted Chiang’s Story of Your Life, out of hope it would give me another dose of the pure euphoria of the movie, which I can’t wait to see again. macOS Sierra Counts in a Human Way. Oh, no! Let me know what you make of it after you finish it. The collection. As soon as I’ve finished I’ll read your thoughts. Have you seen Arrival? Apologies, Kenny, it seems that I don’t get notified of replies. I have seen Arrival, and I enjoyed it quite a lot (although, perhaps, not to the extent that other have). No problem. I’ve read Story of Your Life now, and though it’s a slightly different beast, it pushed many of the same buttons, which is what I was hoping for.